The condition that swells and narrows the respiratory track, while secreting mucus in excessive amount could lead towards medical condition, where the patient might experience difficulty to breathe. It is termed as asthma. 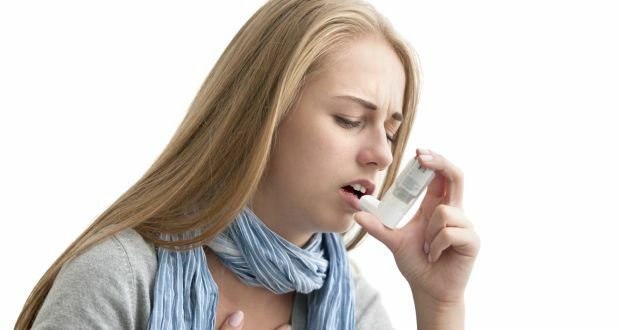 How to know if the Person is Suffering from Asthma? If the person experiences the following symptoms, it becomes important for him to immediate consult a good and reputed medical practitioner to understand what the problem with his health is and what needs to be done. Trouble at the time of sleeping because of coughing or shortness in breath. Wheezing or whistling while exhaling. (Wheezing is considered to be a very common asthma sign noticed in children) in some conditions, the symptoms of asthma are said to be triggered instantly. Exercises could trigger asthma, while dry or cold could worsen the case. Fumes, chemicals, dust or gases that are present at the workplace could trigger asthma. Specific allergens could induce asthma like cockroaches, pollen grains, etc. When to Visit a Medical Professional? Worsened wheezing or shortness of breath, making it almost impossible for breathing. Breath shortness even if the individual is carrying out minimal physical activity. If there is no improvement seen even after the individual uses quick relief inhaler. What is Said to Trigger Asthma? Allergens like cockroaches, dust particles, animal dander and pollen. Respiratory infections like common cold. Physical activity like that of exercise induced asthma. Air pollutants, irritants like smoke. Specific medications which includes aspirin, beta blockers, ibuprofen (Motrin IB, Advil, etc) along with naproxen (Aleve). Preservatives and sulfites add to several kinds of beverages and foods, which include dried fruit, shrimp, wine, beer and processed potatoes. Because of menstrual cycle in few women. GERD (Gastroesophageal reflux disease), a specific condition where stomach acid is known to back up into the throat. It is very much possible for the individual to be thoroughly cured of asthma in a natural way by taking the homeopathic asthma treatments. Asthma might occur in any person at any age and any time. Unfortunately, even infants might develop this ailment. The individual could suffer from infrequent or frequent attacks because of the triggers. According to the experts, asthma actually does not have any kind of cure since it is termed to be a condition. There are professional homeopathy practitioners, who are experienced in treating asthma and can control its symptoms. Author’s Bio: The author is engaged with www.drsshealthcenter.com. He writes articles on the benefits of homeopathy and how it has helped millions across the globe to be cured of different types of ailments in an affordable manner.